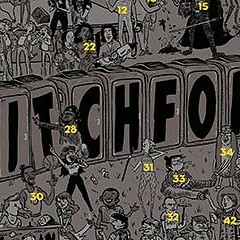 And the winners of our Pitchfork cover contest are . . .
Patrick Stanton and Scott LoPresto! Both winners achieved unbelievable feats in their guesswork: Patrick was a distant first, accurately spotting 35 people on the cover, and Scott, with an also-impressive 26, managed to win a pass for the second year in a row. Congratulations to them both! The full list of people Patrick identified is below the jump—can you spot where on the cover his picks are? For the complete key to Jason Wyatt Frederick's B Side cover, pick up the next print issue of the Reader, which is where you'll be able to find it. 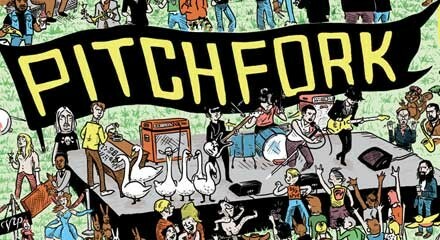 And keep checking back here for the rest of our coverage of this year's jam-packed Pitchfork Music Festival.